Opioids (narcotics) are powerful drugs that are commonly used to relieve pain. Popular brand names include “OxyContin,” “Vicodin,” and “Demerol.” In the U.S., there are approximately 259 million painkiller prescriptions given out in 2012. Health risks associated with painkillers like opioids include irregular heartbeat, heart failure, stroke, heart attack, nausea, vomiting, drowsiness, constipation, hives, respiratory depression, hallucinations, dizziness, confusion, delirium, and spasms. Another common side effect is painkiller addiction. 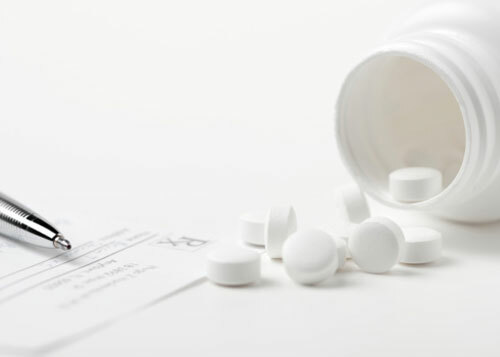 According to a Centers for Disease Control and Prevention (CDC) report, 12 million Americans had reported using painkiller prescriptions over the last year in 2010 for non-medicinal reasons. A new study published online in the journal Addiction has found that American adults view prescription opioid abuse and use as a public health issue instead of a law enforcement problem. They are also fully supportive of a variety of policies intended to control opioid addiction. For the study, researchers sampled 1,111 U.S. adults in a web-based public opinion survey on the participants’ views about opioid abuse prescribed for pain relief between January 31 and February 28, 2014. Each respondent commented about his or her experiences with opioid painkillers, such as whether their pain problem had been serious enough to need medical treatment. The participants would also rate their seriousness of health issues, such as opioid abuse. The researchers found that 50% of the participants had a serious pain problem to warrant treatment from the doctor, and 80% of those people were offered opioid painkillers. Also, 45% of the participants reported that their doctor had also offered them a non-medication painkiller alternative at the same time they were offered an opioid. Addiction risk had been discussed in only half of the participants’ doctors. Also, fewer than 10% would report taking opioid drugs for longer than the suggested prescription timeframe or for the feeling the drug gave rather than to treat the pain. The researchers also found that 28.2% had reported using opioids during the last year, 69.5% had used them at some point during their life, and 17.3% had reported opioid use without prescription. Also, 58% would view opioid addiction as “very serious,” and on par with other major health issues like smoking or alcohol abuse. Doctors also seemed to be part of the issue, according to the participants surveyed. Although over 80% had blamed themselves for their painkiller addiction, 78% also viewed their doctor as responsible for making it too easy for patients to obtain several opioid prescriptions from multiple doctors. The participants also thought that thorough examination of patients were not done before opioid prescriptions were given. “We think this is the perfect time to work on passing policies that can truly impact the crisis of prescription pain reliever abuse,” added study co-author Emma McGinty. Barry, C.L., et al., “Understanding Americans’ views on opioid pain reliever abuse,” Addiction October 7, 2015, doi: 10.1111/add.13077. Harrison, P., “Opioid Abuse a Public Health, Not Law Enforcement, Issue,” Medscape Multispecialty web site, October 19, 2015; http://www.medscape.com/viewarticle/852867. “Prescription Painkiller Overdoses in the U.S.,” Centers for Disease Control and Prevention web site; http://www.cdc.gov/VitalSigns/PainkillerOverdoses/, last accessed October 20, 2015. Mandal, A., “Opioid Side Effects,” News Medical Life Sciences & Medicine; http://www.news-medical.net/health/Opioid-Side-Effects.aspx, last updated October 13, 2013. “Prescription Drug Abuse: What are opioids?” National Institute on Drug Abuse web site; https://www.drugabuse.gov/publications/research-reports/prescription-drugs/opioids/what-are-opioids, last accessed October 20, 2015.